Thanks for purchasing our personal-growth products. To show our appreciation, please accept our bonus gift(s) below! 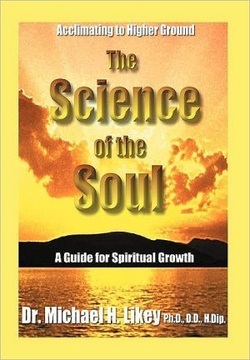 The Science of the Soul presents Dr. Michael Likey's complete guide to pursuing and excelling at whatever task or goal you may chose. The potential of the human soul is limitless, and Dr. Likey provides all of the psychological, metaphysical, and practical tools at his disposal to enable anyone to access this inner power or potential, sometimes referred to as one's higher self. The wisdom offered in The Science of the Soul is designed not only for studying and for practicing, but also for integrating into one's everyday living. The ideas that Dr. Likey discusses have been tested over the years by many of the world's greatest seers, teachers, authors, and coaches. Spiritual laws are merely metaphors for the natural laws; though unseen, that are always at work in the world around us. The Science of the Soul offers a path for a deeper connection and the transformation of the soul. Using the methods presented here, you can gain greater quality of life, deeper love, and inner peace, focused on your true life purposes. One of the most important aspects of the Science of the Soul as outlined by Dr. Michael H. Likey in his book of the same name are the Spiritual Laws of the Universe. Understanding, living, and practicing these laws could result in a richer and more fulfilling life, thus living your soul's purposes. To claim your free gifts, e-mail Dr. Michael here, mentioning the promotion in the subject-line. Remember too (if applicable) the code in the body text of the e-mail. Rev. 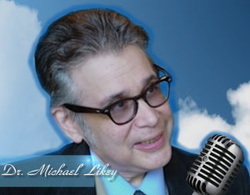 Dr. Michael Likey is a New Thought metaphysician, spiritual psychologist, author of The Science of the Soul, clinical hypnotherapist, and spiritual teacher. He is the producer/host of Beyond Your Soul's Purpose on BlogTalk Radio, which airs Fridays at 12:30 p.m./3:30 p.m. Eastern, the CEO/Spiritual Director of Michael's International Spiritual-Light Centre, and creator/host of his Soul's Purpose Network on YouTube, which airs regular inspirational/self-help/personal-growth/metaphysical programming.